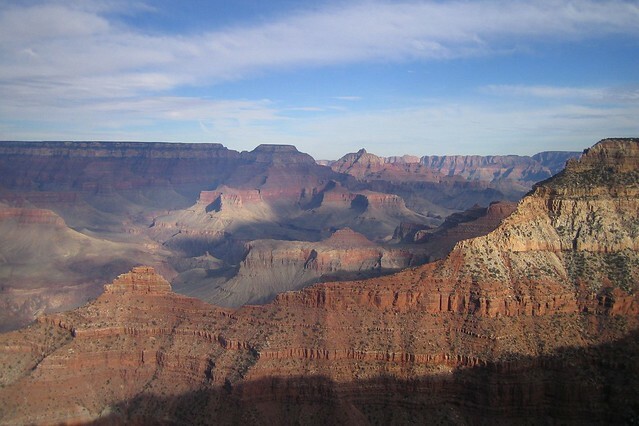 Visiting Grand Canyon National Park is always an awe-inspiring experience. 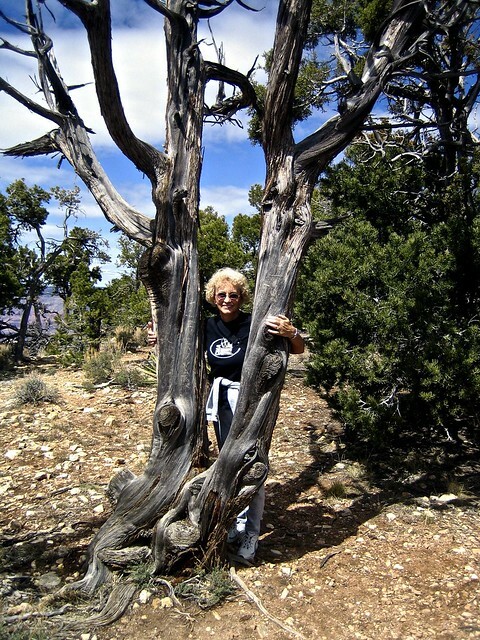 Since 1988 I’ve traveled to Grand Canyon five times, each time with a different friend or family member. I love watching the reactions of people I care about to experiences that I enjoy. To view a slideshow of my Grand Canyon photos, click on any photo. 1988: That summer Eileen Donewald, a long-time friend who is now deceased, and I traveled from Indiana to Mesa, Arizona. Springfield, IL, Hannibal, MO, and Mesa Verde National Park were on our travel list. The stop at Grand Canyon was our last one before we drove to Mesa where her son, Mike Donewald, his wife Linda, and their son Christopher lived. 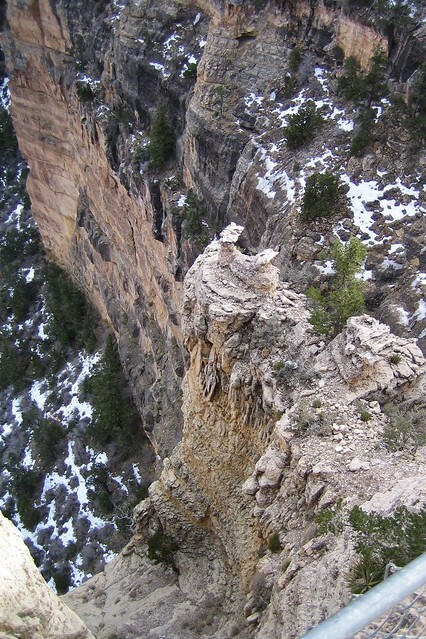 2000:Next visit was in December, and the snow on the cliffs enhanced the colors. Again I left Indiana with my friend Jennifer Eberhardt (now Lynn) on a roadtrip with stops in Nashville, Dallas, Carlsbad Caverns NP, White Sands and Saguaro national monuments, Walnut Canyon NP, Grand Canyon NP, and Sedona, AZ before reaching Mesa, AZ, where I spent the winter with my friend Eileen. 2001: My older daughter, Helena Abbing, accompanied me on my third trip to Grand Canyon in May after we traveled from Santa Fe, NM, to Canyon de Chelly (pronounced sh long a) National Monument with a quick stop at Shiprock before reaching Grand Canyon. The sad fact was that at both Canyon de Celly and Grand Canyon I had to spend a lot of time in our motel rooms working on indexes. I was still working full-time then and the deadlines had to be met. Final destination: Mesa, AZ. 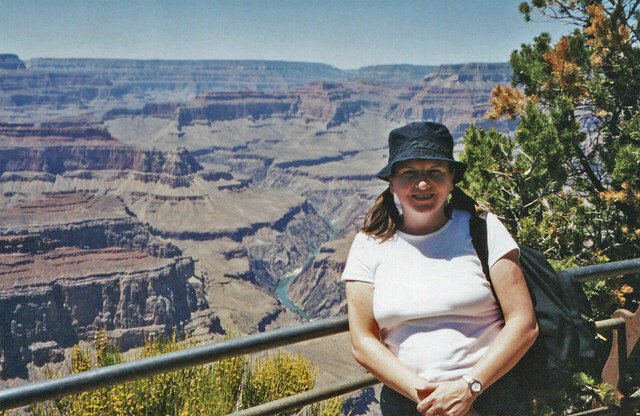 2005: Next trip to Grand Canyon was with one of my sisters, Joyce Ann Buchanan in January. She flew to Dallas from Indiana, and then we followed the same roadtrip route that I’d taken with Jennifer. We still laugh today about an incident that occurred at Saguaro National Monument. Too embarrassing for details. Final destination: Mesa, AZ. 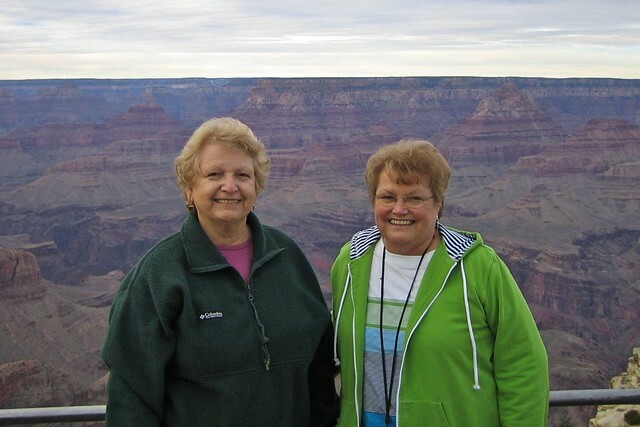 2006: Finally my most recent visit to Grand Canyon was with another long-time friend, Doris Strimple. The May weather was perfect for walking along the South Rim path. Doris had flown from Indiana to Houston where I’d been house/pet-sitting, and again we stopped at most of the same places I’d visited with both Jennifer and Joyce Ann. One of the highlights of our trip was walking down the natural entrance into Carlsbad Caverns. Final destination: Mesa, AZ. The natural wonders of the United States, particularly in the West, merit numerous visits.